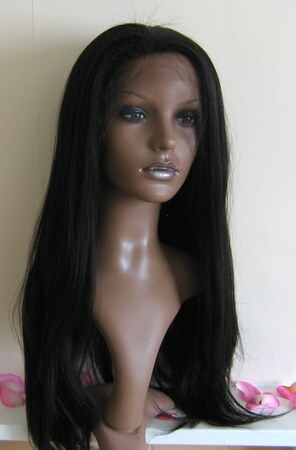 Full Lace Wigs, The Helena 18” Guide. 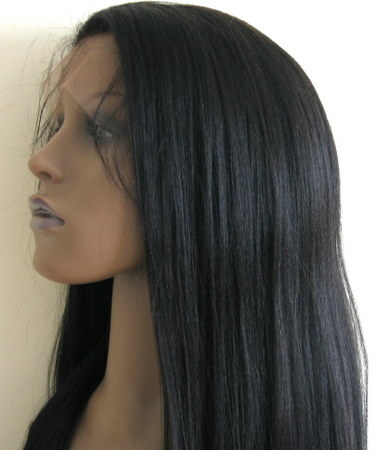 The Helena Light Yaki Straight look for full lace wigs is an ultra light Yaki straight look. 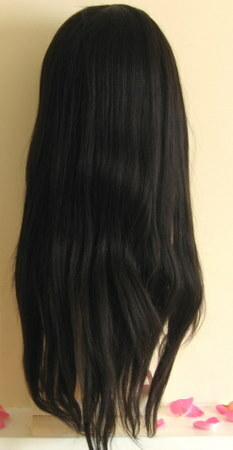 18 inches of lovely, silky, soft, Light Yaki Straight hair, all for the price above. If you’re after hair that looks like the softest relaxed (straight permed) hair then this is a great option. Although listed as 18 inches it’s actually a bit longer. It’s a light Yaki straight texture with superb fluidity and ideal for anyone after long hair. It’s easy to maintain and doesn’t like to tangle (good news!) which is great for those new to lace wigs. As it’s a human hair wig, you can get your curling iron out and make it a curly lace wig whenever you fancy! Here at Peruke, we prefer to let you know how to wear long hair whatever your face shape and, with this wig it’s easy. For those with rectangular, oblong or square faces you’ll have seen a lot of places advising against long hair, but here are a few little tricks to flatter all face shapes. Off centre partings and sweeping/asymmetrical fringes/bangs are all you need to balance the length of the face and soften jaw lines. This is a long length wig which works well with round and heart shaped faces as it adds length. 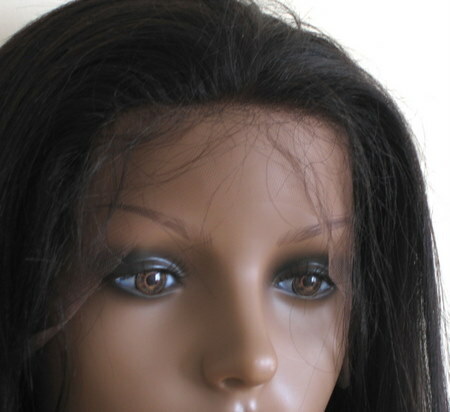 Why not view our wigs by face shape guide for more information. The model show is light brown French lace which will suit most skin tones. Why not check out our guide on choosing lace colours. 18 inches (crown to tip when), medium density (110% - 120%) for a full, natural and easy to manage look. Hmm… “What’s my head measurement?” We hear you ask. 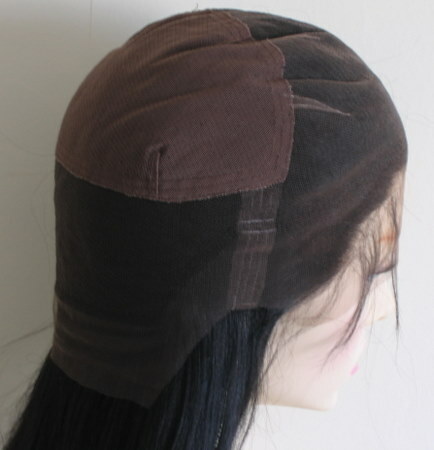 Check out our LW (lace wig) measurements guide for help. This wig is suitable for anyone with extremely curly or afro growth hair. The cap construction of these full lace wigs means they’re versatile for those with or without growth hair. The colour of the wig means it suits all complexions. The colour shown is 2 which is a deep brown and if you’d like the same style and length in a different colour we’d be happy to arrange that for you.